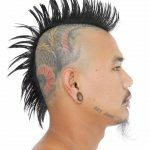 Cutting hair in a specific pattern to portray an image or to get oneself tattooed on bald spots on the head is known as hair tattoos. The advantages of hair tattooing are that you can get the temporary kind that you don’t have to carry around forever. 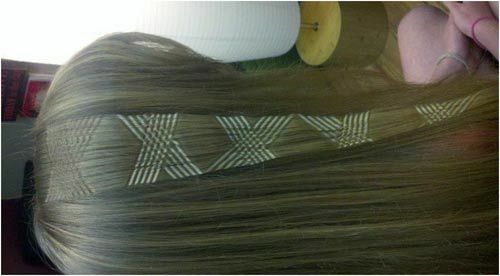 As your hair grows out you can have the choice to change the motifs or designs to enjoy constant variety. 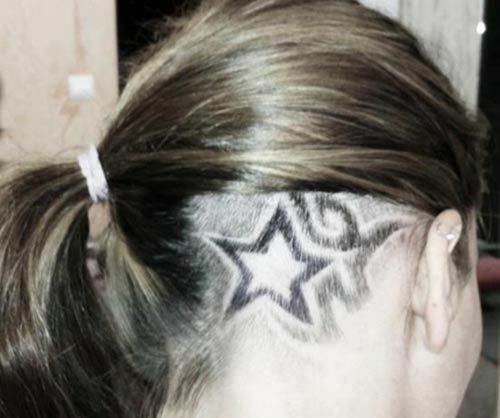 These top ten hair tattoo designs should help you conceptualize ideas for your first or next hair tattoo. Let us have a glimpse at some of the simple and amazing hair tattoo designs. 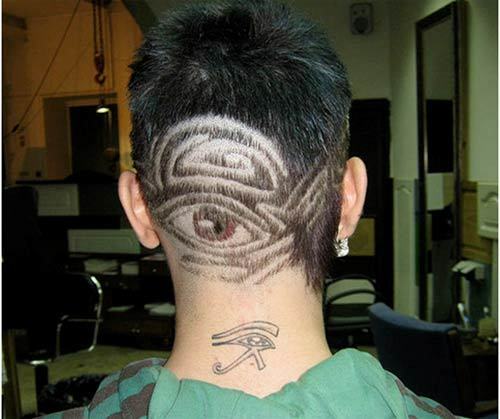 This brilliant hair tattoo design portrays the third eye at the back of the head. This work of art symbolizes 3rd dimensional awareness of one’s surroundings. It’s almost a warning to an assailant, who wishes to attack from the back and effectively denotes the power to be aware of what is to come even if it creeps up behind you. 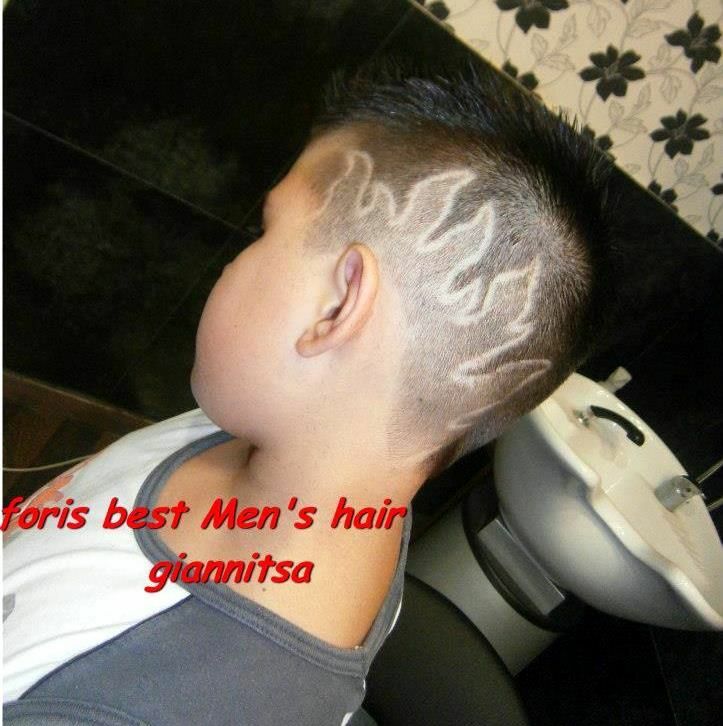 This one of a kind hair tattoo adds extra appeal to the standard Mohawk hair style. If you look closely it’s an abstract form of an ant. Generally, ants symbolize industriousness and the ability to store away for a rainy day. Chinese script is usually an unique and trendy way to inscribe meaningful phrases, words or even proverbs via means of tattooing. 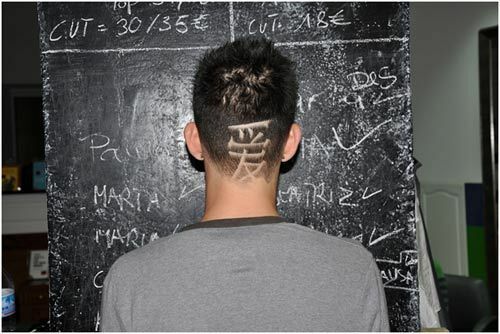 This piece of art in the form of an innovative hair tattoo is an excellent example of how you can use Chinese scripts for tattoos that have a meaning known to you only unless off course you live in China or are surrounded by Chinese people. 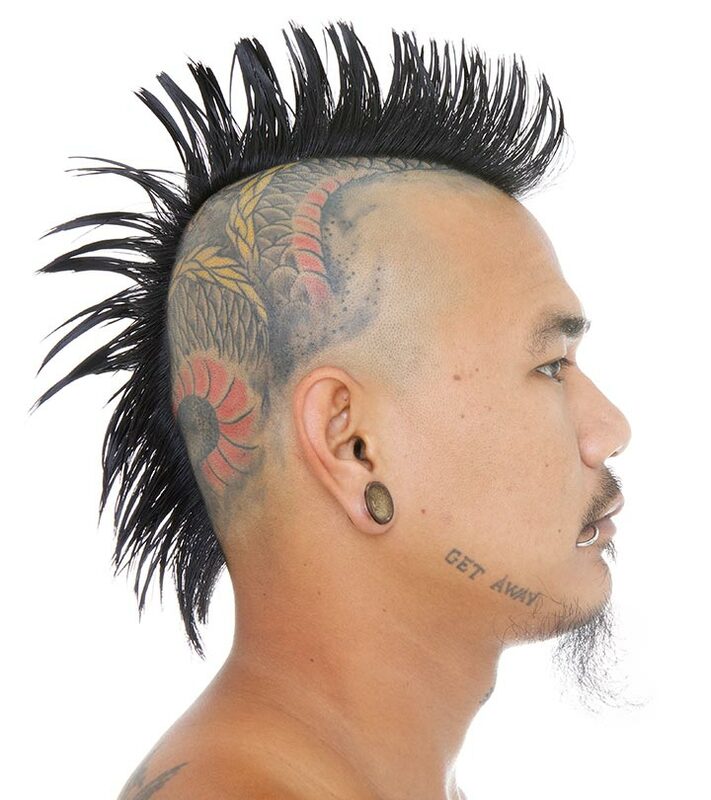 Add some tribal art to your standard Mohawk to give an extra added edge to your look. Tribal art and motifs have been a favorite with tattoo artists across the world and just take a close look at this intricate piece of tattoo art to know exactly why. This hair tattoo portrayal of a pair of scissors means nothing or could be an abstract thought depicted through art. Almost always covered under your hair, this could be your personal secret work of art unless you want to share it with someone special. Mostly this is just an example of hidden hair tattoos and you could replace the scissors with any other alternative. 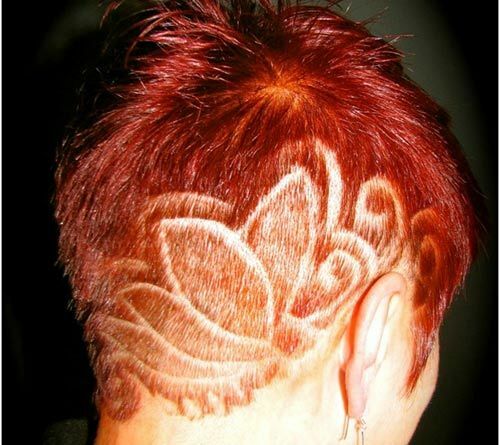 This interesting hair tattoo actually resembles a sense of fun, exuberance and light. More or less, it clearly states that you are the star in the room. 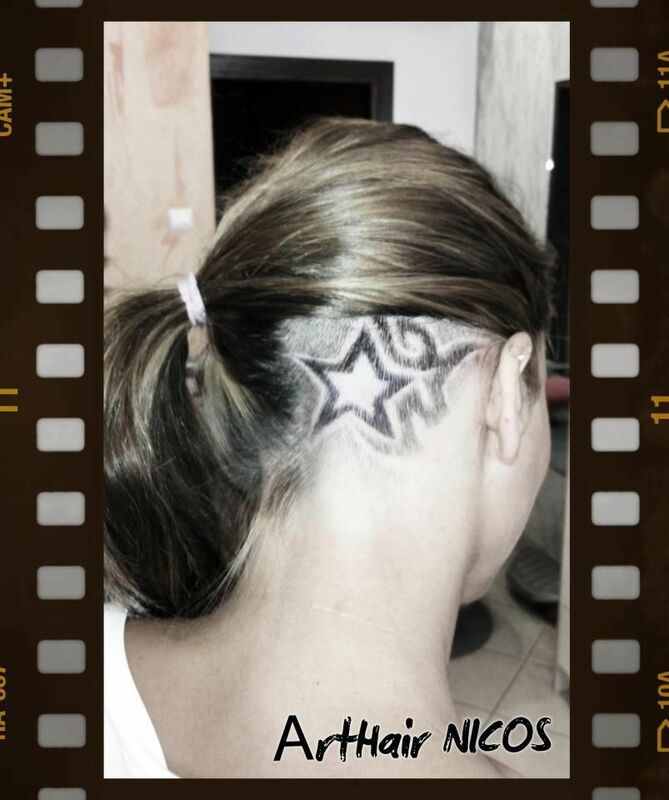 Get a copy of this trendy hair tattoo and without a doubt, you are surely to draw everyone’s attention to yourself. 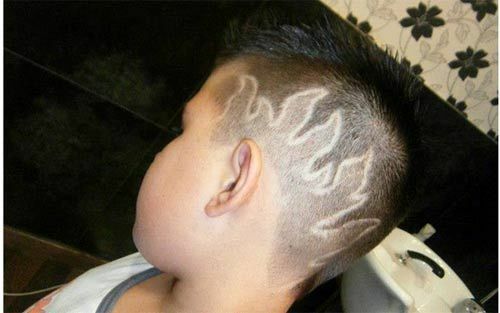 This Hair tattoo effectively depicts a burning flame. Fire symbolizes power, life, warmth and even purification. Add color to this hair tattoo design to increase its appeal. 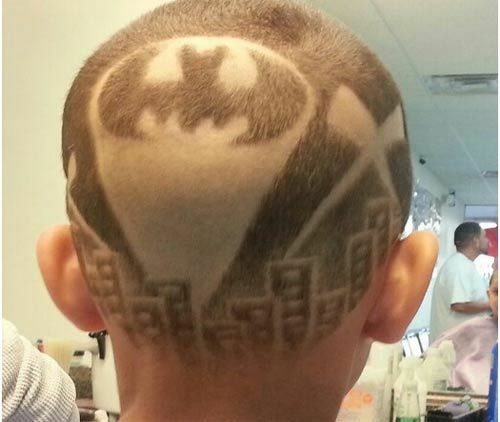 This batman hair tattoo is ideal for kids and here’s an idea, hire a hair tattoo specialist for the next kid’s birthday party you host. Let the kids have their pick from a variety of hair tattoos such as the batman logo, superman logo, or the cartoon characters and for the little girls present can simply opt for simple flowers and butterflies. This abstract butterfly form is sure to draw all eyes on you, the fact that the hair color makes the tattoo stand out is quite apparent. However, this is mostly just an example of how you can accentuate your hair tattoos with the help of innovative and trendy hair colors. 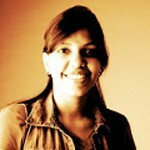 Now this piece of art could not be duplicated by anyone apart from an expert. 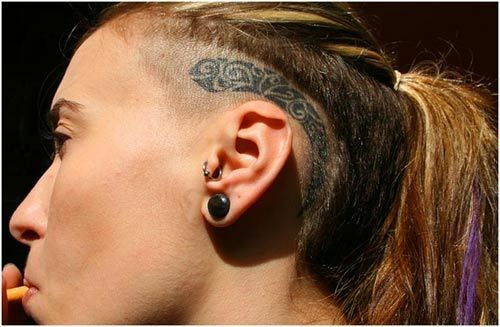 If this innovative hair tattoo design leaves you astounded, well that’s the reaction we expected. 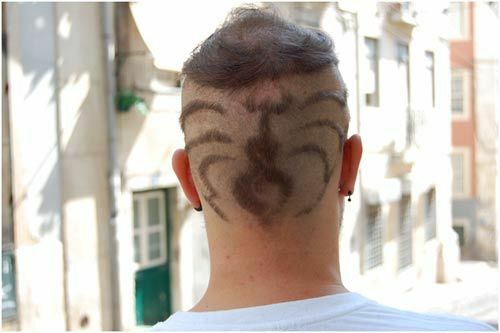 Attempt this, if you are a hundred percent aware of a hair tattoo specialist who could replicate this or do something at least similar to it. 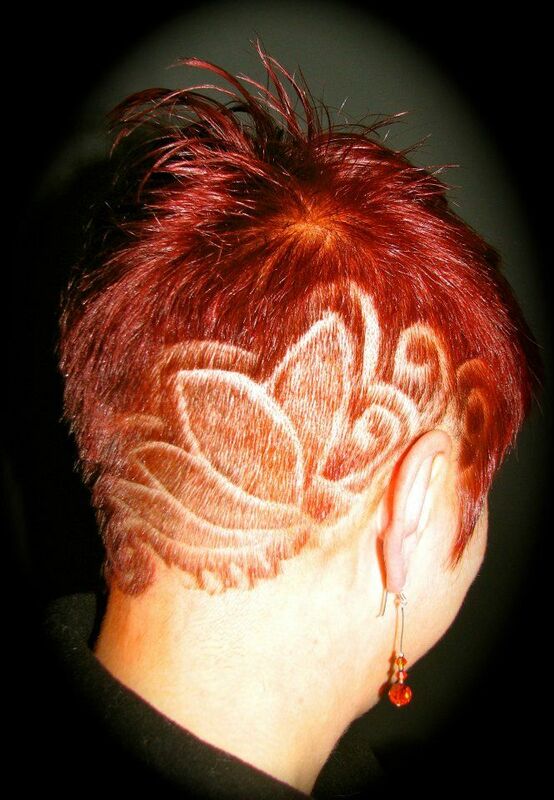 So which one of these top ten hair tattooingdesigns is your favorite? Please don’t forget to drop in your comments below. Stay stylish, stay gorgeous.